Products and services that help you do more than print. HP gives your business a competitive edge. HP’s award-winning printing products and services focus on reliability, security and affordability. Beatties is proud to be an HP Partner and to offer the expert services of HP managed print specialists to our customers. Not only do our specialists help you make your business more efficient and secure, but they help you save money by making recommendations to optimize your print environment and automate and streamline your processes. We appreciate HP’s leadership in the areas of mobility, managed print and security, especially their white papers and innovative campaigns. 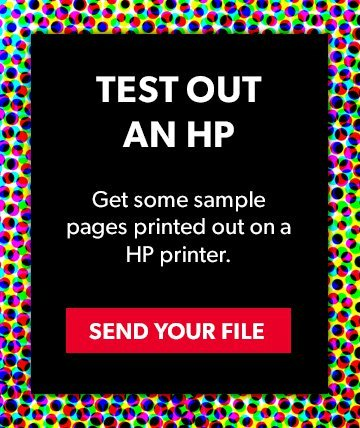 Researchers can earn a $10,000 reward from HP if they can hack into an HP printer And if you’ve ever wondered about the importance of printer security, just watch this HP "film” starring Christian Slater and Jonathan Banks (of Breaking Bad fame). HP acquired Samsung’s printer business in late 2017 as a way to increase its portfolio, particularly in multi-function printers that are easy to use but offer the same high performance as copiers. You can still purchase Samsung printers, toner and software from HP, and Beatties still services Samsung printers with all the love and care we show all our printer brands. Perfect for offices that have fewer than 16 users and print less than 6,000 pages a month, a PageWide business printer offers the lowest total cost of ownership in its class. You get colour printing that costs up to 40% less at an unrivalled speed of up to 55 pages per minute. The LaserJet name is synonymous with the 3Ps: performance, productivity and protection. 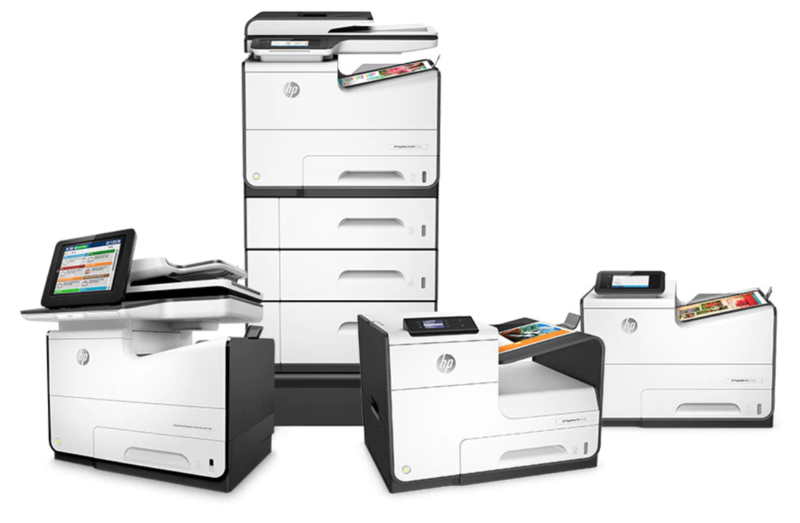 LaserJet Pro printers are perfect for 3 to 10 people printing up to 3,500 pages per month. The Enterprise line is built for 10-30 people printing up to 30,000 pages per month. HP acquired Samsung in late 2017, enhancing its brand with Samsung’s reputation for professional performance. 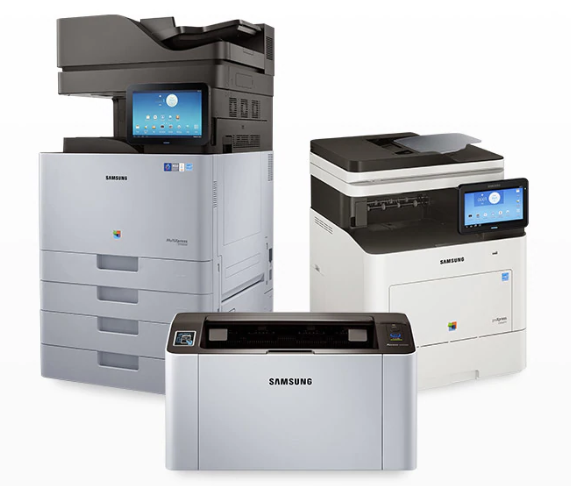 If you’re looking for professional print quality at an affordable price, Samsung’s colour and black and white printers and multi-function products are a great choice. When you use HP’s business workflow and printing solutions to manage your printer fleet, you reduce IT workload and increase employee productivity. 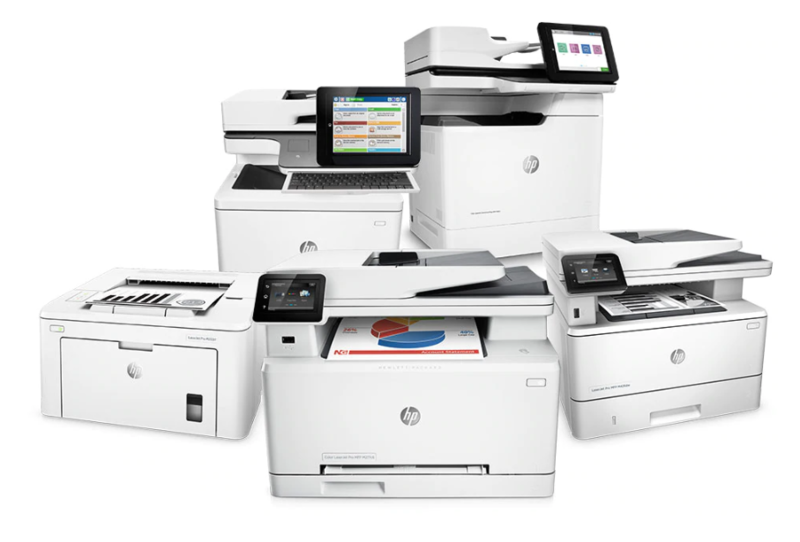 HP offers everything from mobile printing and security to workflow processes and centralized fleet management.